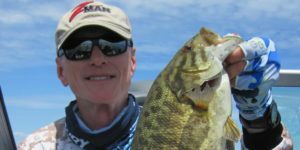 Since the mid-sixties the Lake Geneva Fishing Club has welcomed new members to join us for camaraderie at our meetings and events. We encourage all members to be generous in sharing their knowledge about the lake and catching fish of all species. Our club is dedicated to promoting sport fishing on Lake Geneva. 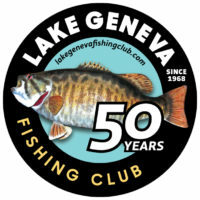 Lake Geneva Fishing Club has been classified as a 501(c)3 non-profit public charity by the U. S. Treasury Department. Feel free to contact us for more details. We encourage youngsters to fish and promote the sport of fishing for all ages. Annually we sponsor a Kids Free Fishing Day that will be held on: Sunday, June 2, 2019, for up to date details Click Here. In the spirit of competition, the club has season long fishing contests in addition to one day tournaments throughout the year. However, members do not have to enter contests to gain knowledge and pleasure from in our club. We also have a “Learn the Lake” outing so that newer members and those wanting to learn more about Geneva can fish with a member who is a “veteran” Geneva angler. Each month we have top named speakers from our membership to top name pros. More details about our speakers and outings can be found by Clicking Here. Consider attending a meeting next month! We have been meeting at Cabela’s in Hoffman Estates on the 2nd Wednesday of each the month (March – November) for many years. We appreciate the generosity Cabela’s has shown us all these years by allowing us to meet at their Hoffman Estates location! 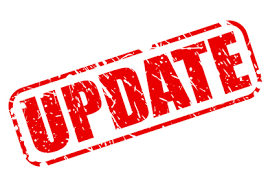 However, due to a variety of issues, our meeting location will change for the May 2019 meeting. Our April 10, 2019 meeting will be our last one at Cabela’s. Our new Illinois meeting location starting on May 8th, 2019 will be at the Poplar Creek Bowl, in the banquet room, please use the banquet entrance. Times have changed a bit to allow for meals before our meetings. Food and soft drinks/bottled water will be available for purchase, – by members and guests at 5:30 PM so that we can settle into our seats by the 6:00 PM start. Guest are always welcome and will be charged a modest fee to attend the meetings. The Guest Fee helps to defray our speaker costs and will be deducted from your dues if you join the club at the meeting. Feel free to arrive early to have a bite to eat, get acquainted with other members and guests, etc. Meetings starts promptly at 6:00 PM! Keep checking our site for information on upcoming speakers and on the clubs activities. There is an annual membership cost for individuals and/or families. For more membership details go to our Membership page.